Six months after her heart stopped beating Garador sales advisor Kim Kerswell is busy baking cakes. Last June Kim, 46, was rushed from leading garage door manufacturer Garador’s head office in Yeovil to hospital where they found her heart had paused for 24 seconds. Now, after having a pacemaker successfully fitted, Kim is back at work and feeling good, and wanted to give something back for all the care she received. 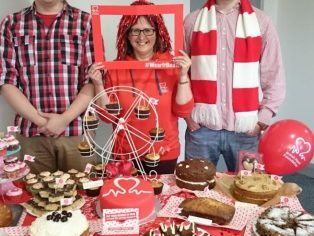 So she joined up with the British Heart Foundation to hold a major fund raising day at work at the Garador factory. 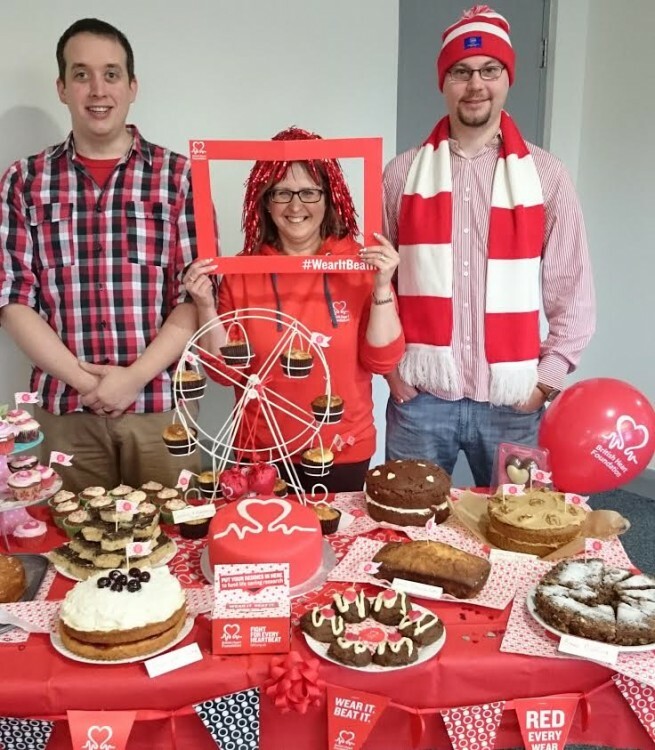 Co-workers at Garador all turned up in red to reflect the heart/love theme of the day and people baked a range of Valentine and heart shaped cakes along with holding a raffle. She quickly collected just under £300 and more money is coming in. “The money is much needed by the British Heart Foundation. Every day over 500 people go to hospital suffering a heart attack and the support and information the BHF provides is invaluable.